Check out Tobi's Kallie Turtleneck Bodysuit The Kallie Turtleneck Bodysuit nails the 'business in the front, party in the back' look. This bodysuit features a refined front view with a turtleneck and elbow-length sleeves, then gives you something to think about with a totally open back. Wear it with a skater skirt to soften up the look. The Kallie Turtleneck Bodysuit nails the 'business in the front, party in the back' look. 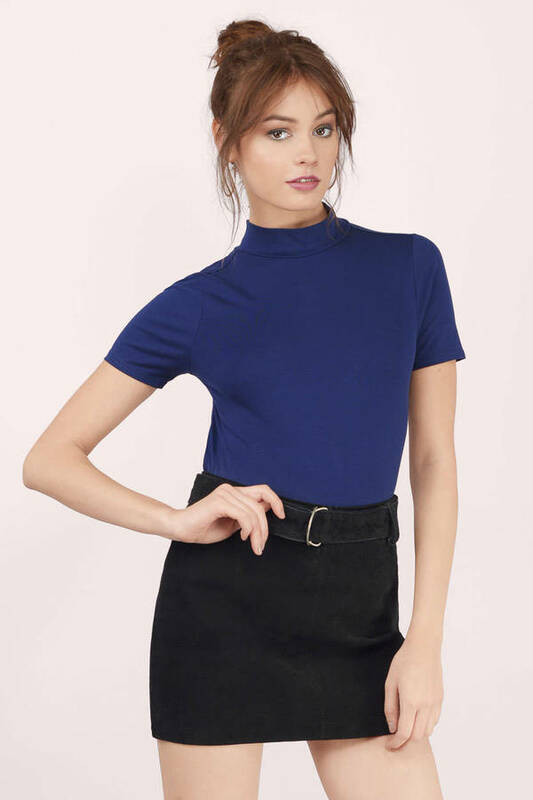 This bodysuit features a refined front view with a turtleneck and elbow-length sleeves, then gives you something to think about with a totally open back. Wear it with a skater skirt to soften up the look.